Deer damage to trees is most often the result of males rubbing and scraping their antlers against the tree, causing significant damage. This is done to remove the velvet. Once this velvet is removed, deer may continue to polish their antlers by rubbing up and down the trunk. Deer also rub trees during mating season to attract females or to mark their territory, warning other males to stay away. This activity can result in broken branches and torn tree bark. Damaged trees, especially young ones, cannot transport nutrients or water, which is vital for the tree’s survival. In addition to rubbing trees, deer may also paw at the soil around them and urinate on the area. They will chew on branches too; however, pruning the lower branches may help protect trees from deer chewing. Since deer usually return to the same location, it is important to know how to protect trees from deer, especially if the trees have previously been damaged. There are several options for keeping deer away from trees. Trees can be surrounded with fencing or other suitable barriers to offer deer rub tree protection. The use of deer repellents can also be used for keeping deer away from trees. Fencing is the most effective way how to protect trees from deer. If you have many trees, surround the entire area with woven-wire fencing. However, in order to be effective, it must be at least six to eight feet high and angled about thirty degrees. It is well known that deer are good jumpers and will clear vertical fences without difficulty. Another way to provide protection is to wrap chicken wire around the trunk. 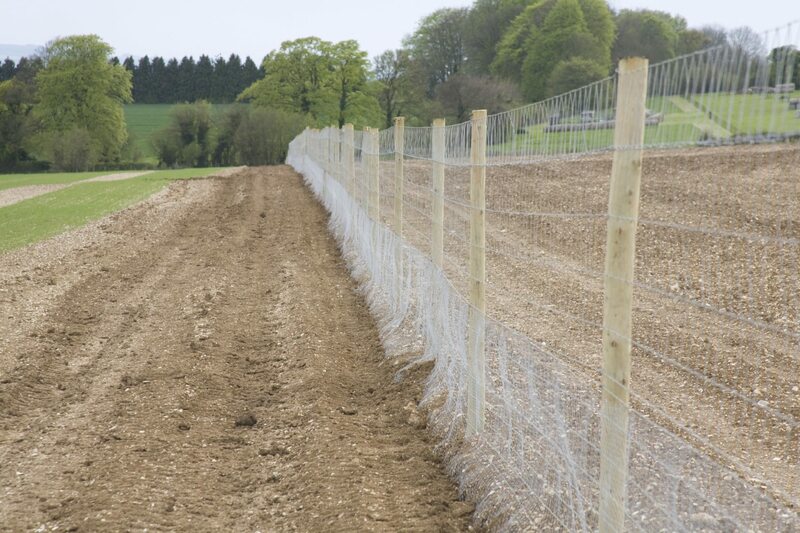 Tree guards made of mesh plastic netting offer protection from deer. These can be spiral or welded. Tree guards simply wrap around the tree but still allow it to grow naturally. They are often available in rolls and can be cut to the required length. 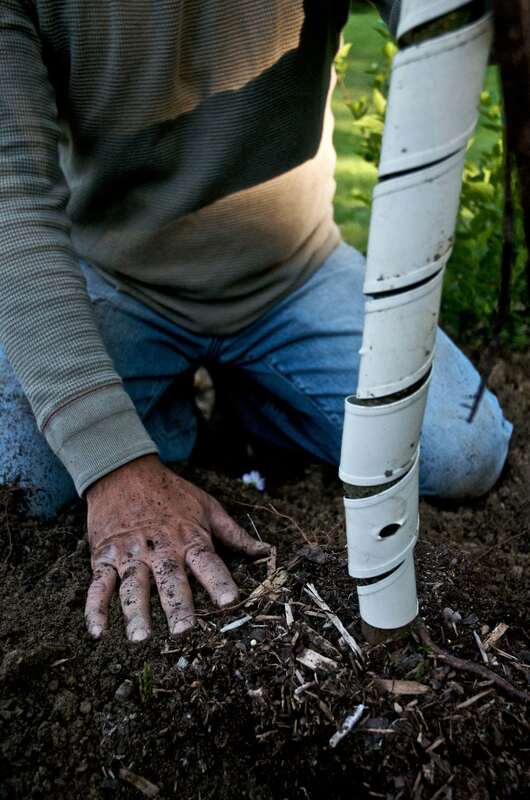 Plastic tubes or pipes can also be fitted around the trunks of trees in an effort to protect trees from deer. Deer repellents may offer temporary solutions. Repellents may be either contact or area. Contact repellents taste bad to deer. When using a contact repellent, the tree should be treated up to six feet. 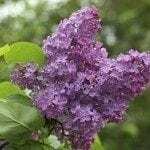 While there are numerous types of repellents available, many people choose to make their own. An egg and water mixture, for instance, is said to be effective. Applying contact repellents on the tree should prevent chewing; however, it may not stop rubbing of its antlers. Area repellents emit foul odors, which can deter deer from the general area. This type of deer repellent may be more effective for deer rub tree protection. Some people cut pieces of deodorant soap, placing them in mesh bags, and hanging the bags to tree branches (replacing monthly). Deer do not like the smell of the soap and are more likely to stay away. There are many resources available on how to protect trees from deer. As with most anything, finding what method works for you is the key to keeping deer away from trees.